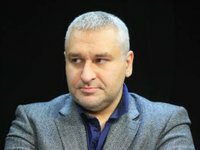 Ukrainian consuls were prevented from visiting Ukrainian servicewoman and parliamentarian Nadia Savchenko, who is detained in the Russian detention facility, Savchenko's lawyer Mark Feygin has said. "Ukrainian consuls Kovtun and Moskalenko aren't permitted to pre-trial detention facility No.3 to Nadia," he wrote on Twitter account. In view of this failure to provide an access of Ukrainian diplomats to his client, Feygin assumed that "merely theoretically" Savchenko might be convoyed to the colony.